Traffic is getting more congested across the United States – and Kentucky is no exception. Unfortunately, the longer you sit in traffic surrounded by impatient drivers, the greater your risk of being rear-ended. These accidents are alarmingly common: According to the National Highway Traffic Safety Administration, up to one-third of all traffic crashes are rear-end collisions. The Kentucky Transportation Center reported a 6.8 percent increase in all road accidents in 2015 – and the fatal crash rate rose by 13.4 percent. In total, there were more than 160,000 wrecks on Kentucky roads last year – and 694 of them were fatal. 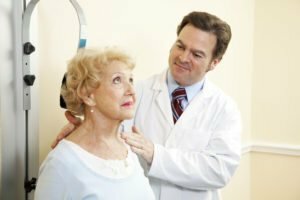 If you feel pain, discomfort or stiffness in your back or neck after a crash, then you may have sustained whiplash. 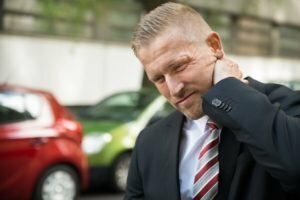 In serious cases, treating whiplash can cost a veritable fortune in medical bills, and victims often cannot return to work for several days or weeks. If you were injured by a negligent driver in Kentucky, turn to the Troutman Law Office. Matt Troutman is an accident attorney in Louisville who will evaluate your case to determine if you have grounds for a claim. If your case goes to trial, Mr. Troutman has the litigation experience and resources to represent your interests in court. Call to schedule a free case evaluation. You can also visit USAttorneys.com to learn more about personal-injury lawsuits in Kentucky. Most rear-enders are entirely unexpected. Victims usually do not have time to brace themselves for the impact, and the force of the collision can jolt the neck forward and backward. This back-and-forth motion is why the injury is called “whiplash.” The abrupt jerking of the neck can put tremendous pressure on the spine and neck muscles. If you are in pain after a car crash in Kentucky, contact an accident attorney from the Troutman Law Office. You may be entitled to compensation for medical bills, vehicle damage, lost wages and other expenses. Matt Troutman is a Louisville personal-injury lawyer who will help you pursue the maximum settlement. He will handle the legal aspects of your claim, such as gathering evidence and calculating your damages, so you can focus on recovering from your injuries. Call to schedule a free case evaluation.